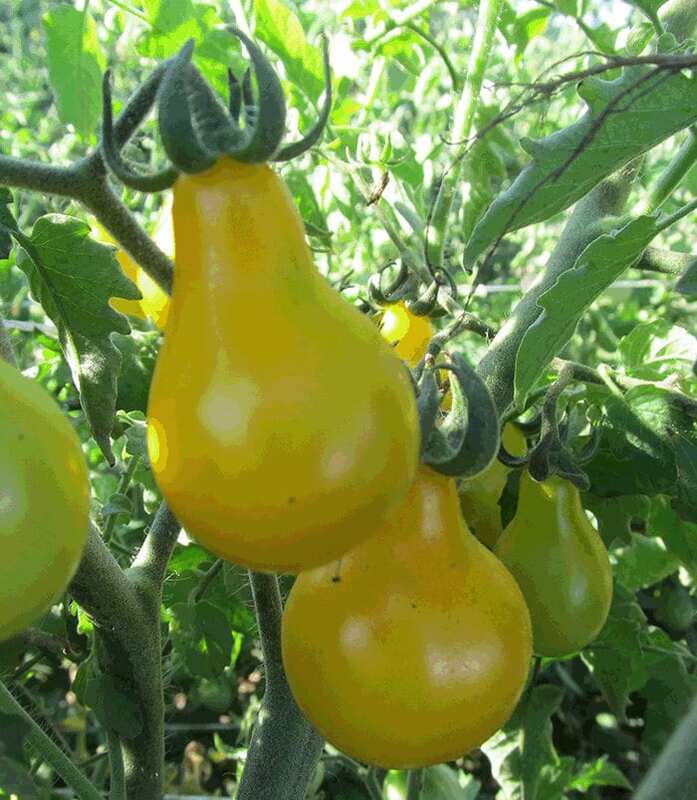 Above and beyond other yellow pear tomatoes, this heirloom boasts zesty sweet flavor in larger than usual (1 oz.) fruits. Yields are extremely heavy, right up until frost. Vines are huge, vigorous, and healthy. Virtually crack-free, unlike other pear varieties. Beam’s Yellow Pear comes to us via the Seed Savers Exchange, which received the seeds in 1983 and has kept them available ever since. Beam's Yellow Pear replaces our former yellow pear variety -- this is the best! I am very happy with the number of seeds that sprouted. Fingers crossed for a good growing season!